The beautiful Monadnock region attracts artists, photographers and collectors of fine art. The NH art galleries in Peterborough are well known in the art world. Explore the southwestern corner of NH and discover some outstanding art, art galleries, and artwork for sale and for viewing.Ask us about Keene NH area Art Galleries or share your comments. 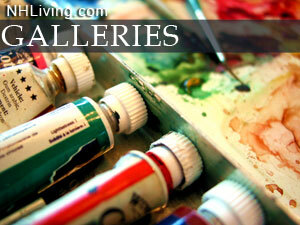 To feature your NH Gallery or Art Studio, contact us. Open at noon Wed.-Sun. All exhibits, receptions, and programs are free and open to the public.